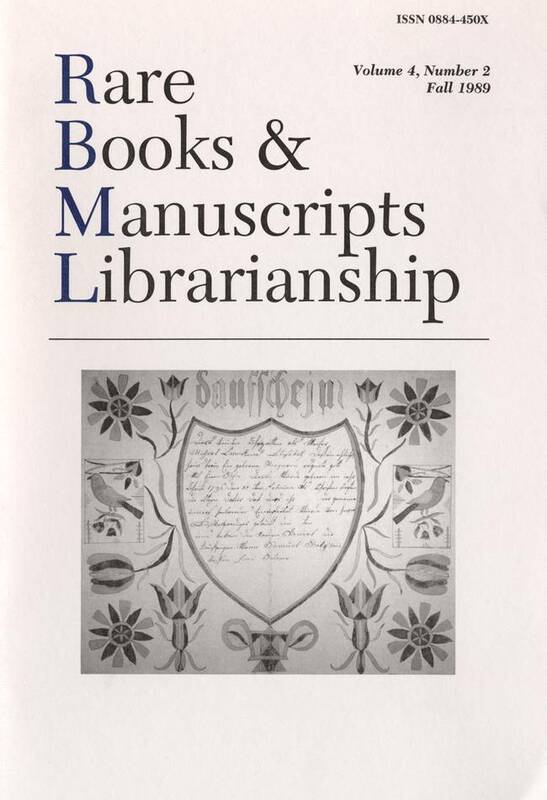 Cover illustration, "Geburts und Taufschein, Daniel Ocksenreiter," is from the RBMS award-winning catalogue, Fraktur: A Selective Guide to the Franklin and Marshall Fraktur Collection, described by Carol E. Faill, Curtis C. Bentzel, and Robert G. Mickey (Lancaster, Penna. : Franklin and Marshall College, 1988). Photo courtesy of John Herr and the Unger-Bassler Collection.